Arthur was born in Newport, Rhode Island on August 31, 1945 to the late Gilbert and Alyce Halliday. He honorably served for 30 years in the United States Air Force. He protected his country and her allies on 3 combat tours in Vietnam and Iraq. Arthur’s valor and skill was recognized with numerous decorations. His long and successful career would only tell a portion of his life story. Arthur had also been a police officer, a mate aboard the 18th century frigate HMS Rose, a professor at Mount Olive College, an instructor overseas for Boeing Avionics, and a cabinet maker locally at Webber’s Cabinet Shop. Arthur will be remembered for his ability to fix anything, his love of the ocean, sailing, and model airplanes. Arthur was an active member of the Pleiku Air Base Association and a dedicated member of the East Carolina Remote Control Airplane Club. He thoroughly enjoyed the art of the building the planes, many of which were replicas he maintained during active duty service in the military. Trips out to the flying field on Sundays to gas up the planes, get in a good flight, and spend time with his friends, was his true passion. Above all he enjoyed spending time with his family on summer vacations at the beach and while camping and boating. He will be missed and greatly remembered by many friends and family. A Mass of Christian Burial will be held at 10:30 a.m. on Friday, April 5, 2019 at St. Mary Catholic Parish in Goldsboro followed by interment at 12:00 noon in the Eastern Carolina State Veteran’s Cemetery with full military honors. The family will receive friends on Thursday, April 4, 2019 from 7:00 – 9:00 p.m. at Seymour Funeral Home, 1300 Wayne Memorial Drive, Goldsboro, NC. Arthur was a loving husband, father and grandfather. He is survived by his wife of 48 years, Ellen Halliday, his children, Laurel Molloy, Karen Vanasse and Richard “Rick” Halliday, along with their spouses, Dennis Molloy, James Vanasse and Jennifer Halliday; and six grandchildren, Audrey Molloy, Elijah Molloy, Ethan Molloy, Claire Molloy, Lindsey Halliday and Nathan Halliday. He is also survived by his brother, Gilbert Ronald Halliday from Fort Walton Beach, FL; sister, Mary Margaret Ford from Portsmouth, RI; and his good friend, Donald Webber of Goldsboro. In addition to his parents, he was preceded in death by a sister, Alyce Francis Medeiros and brother, Robert Arthur Halliday. 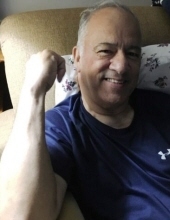 In lieu of flowers, the family suggests memorials be given in his memory to the Caring House, 2625 Picket Road, Durham, NC 27705 or to the Air Force Aid Society, 1550 Crystal Drive, Suite 809, Arlington, VA 22202. To send flowers or a remembrance gift to the family of Arthur Richard Halliday, please visit our Tribute Store. "Email Address" would like to share the life celebration of Arthur Richard Halliday. Click on the "link" to go to share a favorite memory or leave a condolence message for the family.